In 1868 the Ravenswood Land Company started dividing farm land north of Chicago into lots, in hopes of creating an exclusive, first-of-its-kind, commuter suburb. The area eventually was annexed into the city and divided between the Lincoln Square and Uptown community areas, but the Ravenswood name, and the idea of it being a distinct neighborhood of its own, bounded by bounded by Montrose Ave, Foster Ave, Clark St and the Chicago River, both endured. Ravenswood’s public amenities compare favorably to that of any other great Chicago neighborhood. The 15-acre Welles Park provides tennis courts, baseball fields, playgrounds and an indoor pool for your recreations needs. Winnemac Park’s 40 acres include fields for soccer and softball, as well as nature trails and a prairie garden. Adjacent to Welles Park is the Sulzer Regional Library, one of Chicago’s two regional libraries, where patrons can find a wide array of community programs and access the Northside Neighborhood History Collection and Ravenswood-Lake View Community Collection. 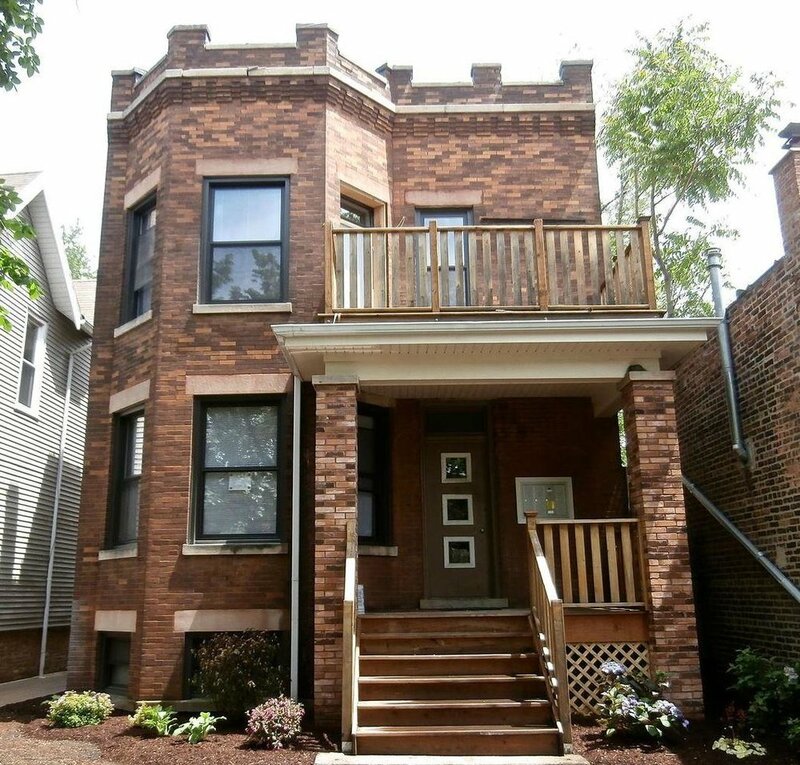 The diverse housing stock in Ravenswood consists of courtyard-style buildings, brick bungalows, stately Victorian houses, adapted lofts, and multi-family buildings. Many new construction condominium buildings have also emerged as infill among the neighborhood’s vintage stock. Condos are typically priced in a range from $150,000 to $500,000. Single family homes can be found from $400,000 to $1 million-plus. 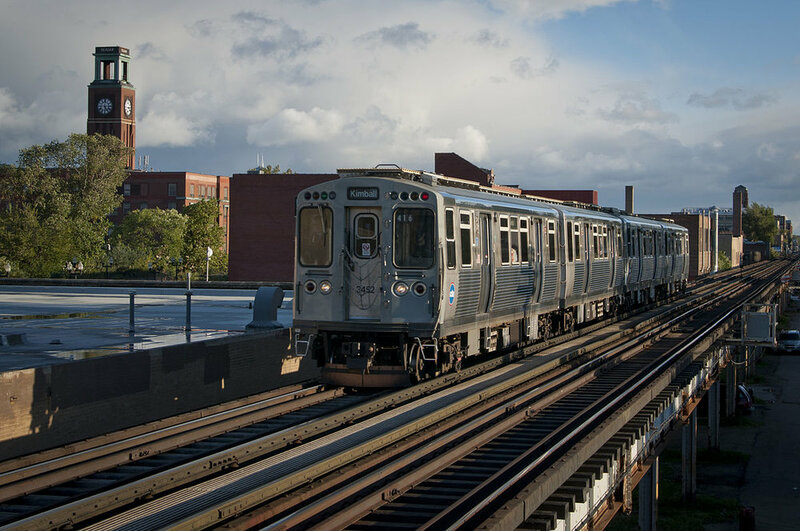 Communters in Ravenswood can travel through the North Side and into the Loop via the CTA Brown Line, which stops at stations on Montrose, Damen, and Western avenues. Nine CTA buses run through the neighborhood. Access to Metra North Line is also available near the intersection of Ravenswood and Lawrence avenues. 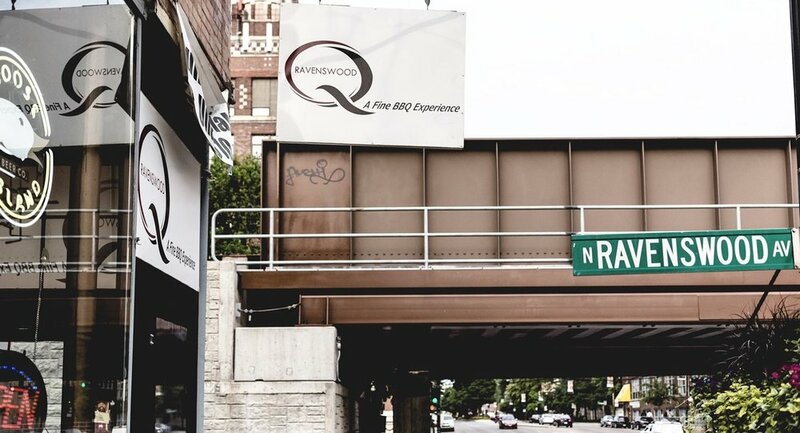 Ravenswood’s shopping, dining and nightlife scene is centered around the main commercial district of Lincoln Square on and near Lincoln Avenue. However, plenty of gems can be found throughout the entire neighborhood. The charming Fountainhead neighborhood restaurant and bar offers drink-friendly fare like mussels and frites, sandwiches, sausage platters, and cheese and pate plates, all designed to accompany whiskey-based cocktails and local craft brews. Although the neighborhood is filled with popular German establishments – places like the Chicago Brauhaus, Huettenbar, and the Lutz Continental Café and Pastry Shop – Ravenswood is actually home to eateries representing a multitude of cultures. Enjoy authentic Neapolitan-style pizza at Spacca Napoli on Sunnyside Avenue, where fresh, high-quality ingredients and an attention to detail result in sights, smells, and tastes straight out of a true Naples pizzeria. Other popular staples for ethnic cuisine include the Vietnamese bakery and sandwich shop Nhu Lan, the modern European café Restaurant Sarajevo, the Kyrgystani Jibek Jolu, and the Middle Eastern Taste of Lebanon restaurant. Ravenswood’s students are served by the public Ravenswood Elementary School, McPherson Elementary School and Lake View High School. Private options include North Park Elementary School and St Matthias – Transfiguration School.